Conflict seems unavoidable in the workplace, with 85% of US employees experiencing conflict in some way. 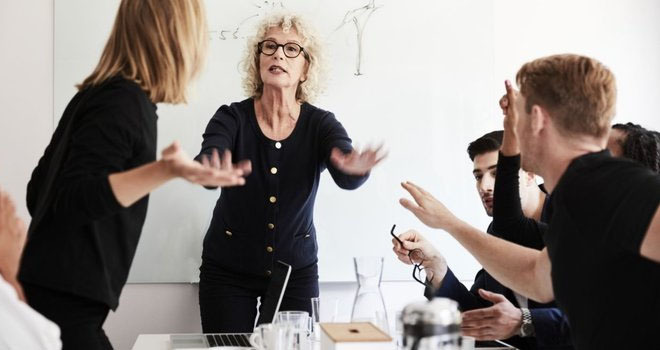 It's a major problem that needs to be dealt with by management as conflict can lead to reduced productivity, increased employee turnover, increased absenteeism and many other negative consequences. However, many managers feel anxious about dealing with conflict and try to avoid it, but conflict rarely resolves itself. To be a leader you must handle conflict - you must recognise it, understand its cause and bring about a quick resolution. In this article we have discussed ways of managing conflict in the workplace. Conflict management is a skill that consists of dealing with confrontations diplomatically and constructively. The aim is to achieve a positive result from the disagreements which respects everyone's wants and needs and improves relationships. By managing conflict you can strengthen relationships and enable people to work together better than ever. Workplace conflict can occur in many ways: between colleagues, among entire departments, between supervisors and their supervisees etc. Some are short-lived whereas others are deep-rooted. The reasons behind these conflicts are rarely straightforward and it is unlikely that it's just one person's fault but understanding the cause is vital in deciding how to effectively deal with the problem and prevent it from reoccurring. No directional leadership - When team members are at a loss as to who to turn to for direction or clarification of their mission, it can be frustrating and confusing. Different working styles - People may hold different expectations in how other staff should work - they usually want others to work similarly to their own working style. If working styles differ from these expectations it can create frustration and delay projects. Focusing on the wrong results - This leads to a poor sense of direction as team members are confused as to where they should target their energy, and where they should focus their skills for the best outcome possible. Measuring the wrong metrics or the wrong results can either lead the team to false positive pretences or can downplay the effectiveness of their strategy. Unclear job roles - Undefined job roles can cause numerous problems, such as incorrect delegation and stepping on colleagues' toes. Poor hiring process - The hiring process audits each candidate for fundamental skills, but it often leaves out some arguably more important skills that are priceless for a team to work well together, such as people skills, emotional intelligence, the ability to patiently work with others and self-awareness. Different personalities - People come from different backgrounds and a lack of understanding or acceptance in employees can form barriers between people. No community building - Community building, though it can be often overlooked, is vital in the success of team building, growth, and achievement. Building community goes beyond setting up a team meeting place, it is more of a complex array of several workplace variables including the intangible skills of each individual, the precedents set by previous projects and the fair and understanding treatment of each team member. Communication must be clear, succinct, accurate and timely to reduce the amount and severity of conflicts. Resources availability - Employees may be uncomfortable requesting resources which may leave them feeling frustrated at management and those who do not require as much support may be irritated by these employees. Inadequate training new staff - When new staff are not trained adequately they may suffer from a lack of focus, disinterest in moving company projects forward, discrepancies in job delegation and gaps in employee communication. Level of support - After highly stressful situations, such as dealing with a complaint from an angry customer, staff will feel more negative towards the company if they cannot access emotional support and they will believe that the company does not care about them. Poor work environment - Having a poor work environment can alter behaviour and people are more likely to target their emotions towards a person rather than the room. Bulling/discrimination/harassment - Treating others poorly due to their beliefs, disabilities etc. is illegal. It can lead to conflicts that are expensive and difficult to resolve and these disputes can also give your company a poor reputation. Conduct a conflict risk assessment - Seek areas of potential conflict and intervene before any conflict occurs. Understand natural tensions in the workplace by observing behaviour and work out ways of reducing this, for example, if you know that the marketing department does not like HR department then try to build positive relationships between them. Modify the workplace - A poor workplace layout can generate stress and hostility, for example, a noisy office and/or a hot office, so rearrange the workplace to reduce these problems. Encourage openness - Develop an environment in which employees feel comfortable sharing by asking for feedback from staff regularly. If you create an environment where staff feel it's safe to share their opinions with you then situations involving conflict may not occur. Define job roles - Make sure all employees' job roles are clear and go through this information in one-to-one meetings. Changes to job roles - If you have realised that there is a lot of overlap between different roles then alter job roles and discuss this with the staff involved to be certain that this suits them. 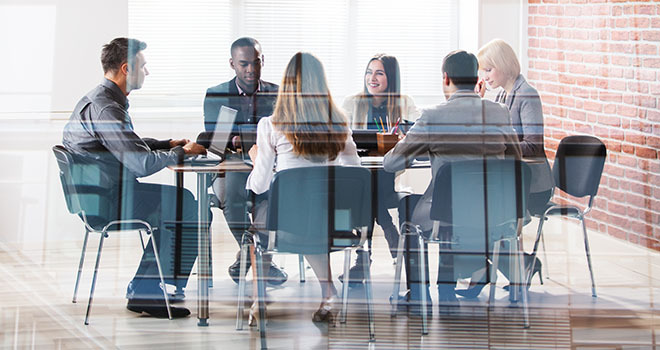 Train staff - Provide employees with the training needed for their role and ensure they are provided with equality and diversity training to help them work amiably with others. Set expectations for behaviour - You should make it clear what behaviour is acceptable and unacceptable in the workplace. Create a conflict resolution policy which makes it clear that the company has zero-tolerance for offensive behaviour. By putting this policy in place staff will feel more comfortable voicing concerns before they escalate. Informal discussion – In many conflicts the informal stage is the first step because many disputes can be resolved just by talking with each other. Set up a meeting so you can talk with those involved without interruption. Choose the right time for this meeting - it's important to prevent conflict from continuing as it can quickly escalate but if this happens too quickly, without allowing those involved to cool down, their emotions may be elevated which may consequently lead to escalation. All parties need to be ready to address the problems calmly. Set some ground rules at the beginning of the meeting, for example, encourage them to listen carefully and give complete attention to whoever is talking without interrupting etc. Each person should express their feelings and concerns. However, there should be a focus on events and behaviour, not on people's characters, for example, rather than saying "I'm upset because you always delegate work to me because you're so lazy", the employee should focus on a specific event: "I'm upset because on Monday and Wednesday you delegated work to me..."
For everyone's understanding, including your own, rephrase what has been said by each person, for example, "Let me make sure that I understand. You're upset about... because..."
The resolution should be collaborative between the parties - they should agree on it and you can then help set their next steps and ask managers to follow this up. Remember that you are only there to provide guidance - you must remain unbiased and not take sides. You're there to help staff work out their problems. You may need to guide the conversation and make them return to the real problem if they get caught up in their opinions of one another. Mediation – Consists of a trained mediator talking with those involved to address the problem. Mediators encourage people to calmly speak and listen to one another. They guide the parties to reach a resolution that is: acceptable to everyone, repairs relationships and gets work back on track. Conciliation – This is similar to mediation but the conciliator will provide their own opinion on the matter. So the conciliator facilitates the communication and steers the parties towards an agreement but the ultimate decision to agree on the settlement still remains with the parties. Arbitration – Arbitration is the most formal option where evidence for both parties is submitted to an arbitrator. The arbitrator considers the evidence, makes the final decision and imposes a legally-binding settlement. Embrace conflict - Act quickly when conflict occurs as negativity can spread quickly through a company affecting those who are not even directly involved. Encourage employees to approach you - Conflicts may not be reported to you if staff do not feel comfortable approaching you or they think it won't be treated seriously. Encourage your employees to talk to you whenever they need to. Remain calm and in control - Sometimes you may be shocked by a conflict but avoid becoming aggressive because you need to set an example for the rest of your staff. Train in meditation - It's valuable if yourself or another manager takes training to become a mediator. Resist judgement - You should be attacking the problem and not the person, you should be unbiased and remain cautious about taking sides before hearing all the details as this can cause feelings of isolation and embarrassment for employees. Practice active listening - This is essential for resolving conflicts. Support differences - Promote a positive workplace culture towards differing views, lifestyles etc. People will see that acceptance is the aim and discriminatory behaviour is unacceptable. Recognise conflict as an opportunity - In every conflict there is the potential for learning, when there is disagreement there is the potential for growth and development. Different viewpoints addressed well can lead to creativity and innovation. WIIFM factor - You need to understand the "What's In It For Me" (WIIFM) position of everyone to understand their motivations. Think about what employees care most about, what can affect them personally and what they have to lose/gain. When you know what motivates your staff you will have a better understanding of the tactics that will help resolve their conflicts. As a leader, you should never allow your apprehension to get in the way of resolving a conflict. Remember that for every conflict there is a chance for learning and growth so use each dispute to improve the workplace and create a better working environment for staff.